The survey is part of a national pollinator action research plan to give new insight into colony losses. WASHINGTON – The U.S. Department of Agriculture's National Agriculture Statistics Service (NASS) released the results of its first ever Honey Bee Colony Loss survey today. The survey queried more than 20,000 honey beekeepers about the number of colonies, colonies lost, colonies added, and colonies affected by certain stressors and gleans state-level estimates on key honey bee health topics. The survey was developed as part of the "National Strategy to Promote the Health of Honey Bees and Other Pollinators" released last summer, and gleans state-level estimates on key pollinator health topics. According to the survey released today, there were 2.59 million or 8 percent fewer honey bee colonies on Jan. 1, 2016 than the 2.82 million present a year earlier on Jan. 1, 2015 for operations with five or more colonies. New quarterly colony data allow new levels of analysis. For example, there was an 18% loss of colonies in the January-March quarter in 2015 and a 17-percent loss in the same quarter in 2016. 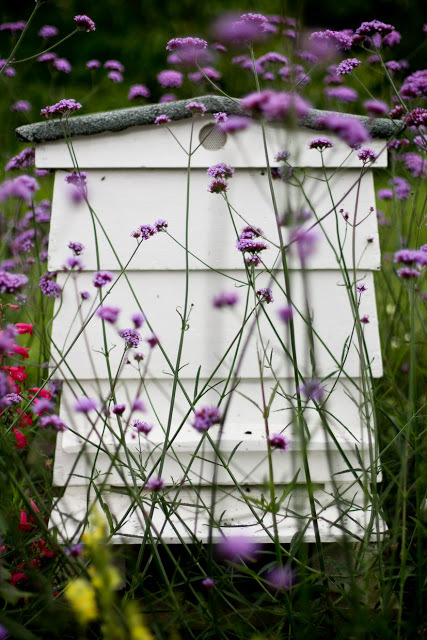 Honey beekeepers with five or more colonies reported Varroa mites as the leading stressor affecting colonies. They also reported more colonies with symptoms of Colony Collapse Disorder lost in the first quarter of 2016 with 113,930 than the 92,250 lost in the same quarter in 2015. More from the USDA on honey bee conlonies. Limited list - Plants that attract bees.